We are so happy to report that we have landed safely in LA and met up with two more tour-mates who will be with us for the duration of the dates! The van is filling up! We are getting our bearings a little bit and have decided now is a great time to do a recap of our San Diego date! We had an AMAZING time in SD! Our very first screening of Maximum Tolerated Dose was at the Che Cafe (which is an incredible safe space for those of you who have not had an opportunity to spend time there yourselves.) The room filled up fast around 6PM for the workshop which is being run in most cities by one of our tour mainstays who has over 20 years experience in the AR community as well as in the vegan scene in SoCal. People felt really inspired by the conversational nature and began to even share stories that they had themselves about demonstrations they organized themselves, and used the experience in the room as a way to problem solve within their communities and build a much stronger more co-operative movement. We could not have been more impressed with the dedication in the group. 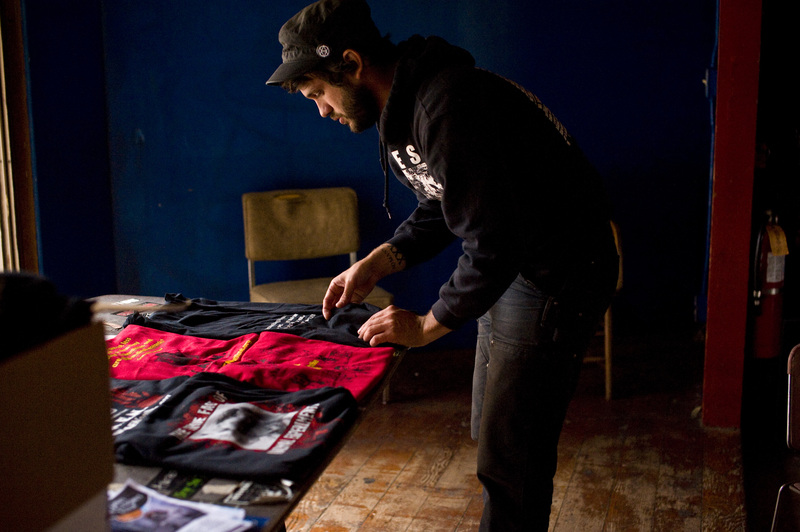 Many attendees were seasoned activists, but we also had new vegans, new activists, and some individuals who had recently changed career so that they might better serve animals in the future. 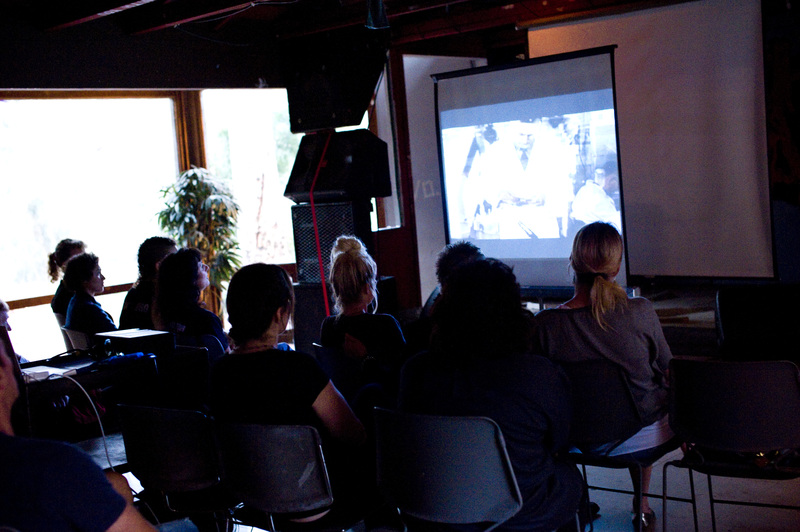 In addition to the workshop we screened the film to a full house of 20+ individuals. The Q and A afterwards centered mostly around what individuals could do themselves to combat animal testing and vivisection, as well as when and where they could find the film in the future, and questions about how to be supportive to animals presently caught in these systems. 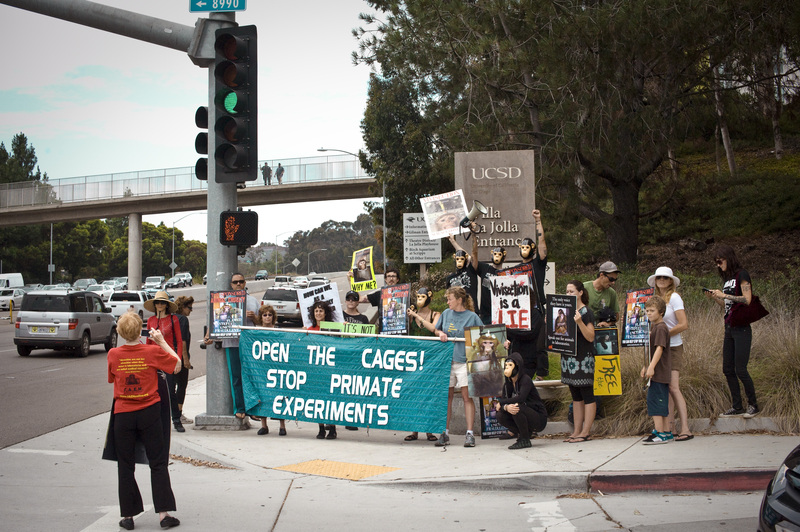 We encouraged people who felt energized to attend our demonstration at UCSD the next day…. Which they did!! Nearly every person who was at the screening and the workshop the night before came to the university campus the next day. The demo was massive. Banners. Chants. Megaphones. We took up and entire street corner. 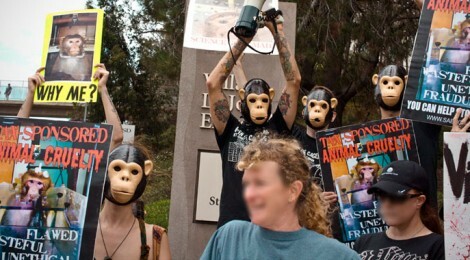 After about 45 minutes at the intersection, 20 or so individuals began to march on the Life Science buildings. Followed by police who were hiding in the bushes, lining the parking lots and parked in the entrances, we took the critique to the front steps of the buildings. We held a captive audience on the campus for about 20 minutes before circling back through the parking lots and ending up back at the street corner. After that we broke away and headed for our music date and screening in Riverside! Recap on that date coming tomorrow. Thank you again to everyone who has come out to our events so far. We sincerely appreciate the support! 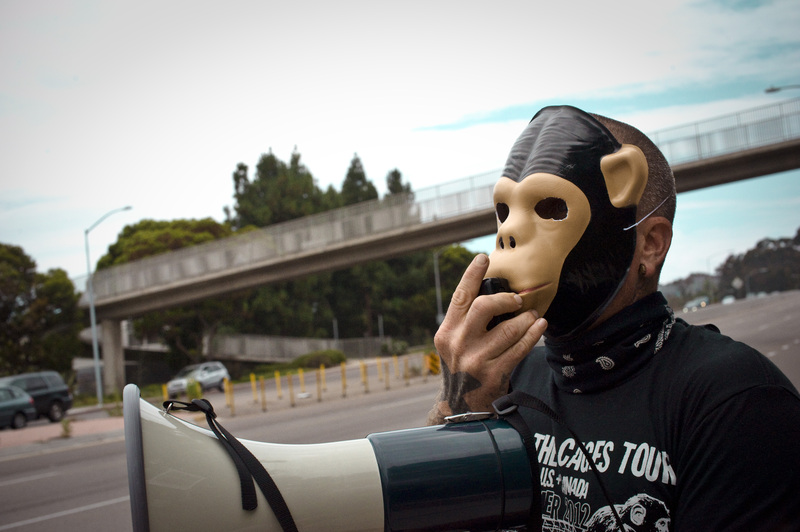 To vivisectors and animal abusers: WE’LL BE BACK, AND WE ALWAYS WIN! Tag any posts you make about the tour with #OTCTour so we can follow you too! ← WE’RE ON THE ROAD!! !